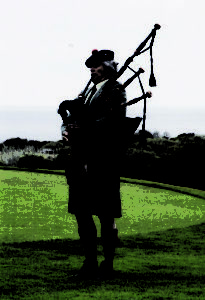 Bagpipes will lead participants—at the close of Pacific Grove’s Indie Author Day Oct. 13—from the Natural History Museum to Jewell Park. The event, Independent Author’s Day on Saturday, Oct. 13, is hosted by the Pacific Grove Library and is free and open to the public. Local authors will sign and sell books 11 a.m. to 5 p.m. at the library, with new authors and books every two hours. Book sales and events will be at the museum from 1 to 4:45 p.m. — plus a “Tea and Speaker” event from 1:30-3 p.m. at the Centrella Inn. “These programs will convey deeper insights into the craft of writing, especially about atmosphere and setting, and promote Pacific Grove as a peaceful place to write, on the tip of the Monterey Peninsula,” said organizer Patricia Hamilton. Bagpipes will sound at 4:45 p.m. on the museum steps. Dr. Ed Jarvis, Pacific Grove musician and chiropractor, wearing his kilt and playing his bagpipes, will lead attendees to a “Meet and Greet” across Central Ave. to the Little House in Jewell Park. J.M. Barrie and the Lost Boys will play old favorites in the park from 5 to 6:30 p.m.. Refreshments will be provided by the Friends of the Library and Central Coast Writers.